Citizen Scientists continue to be valuable partners in research. 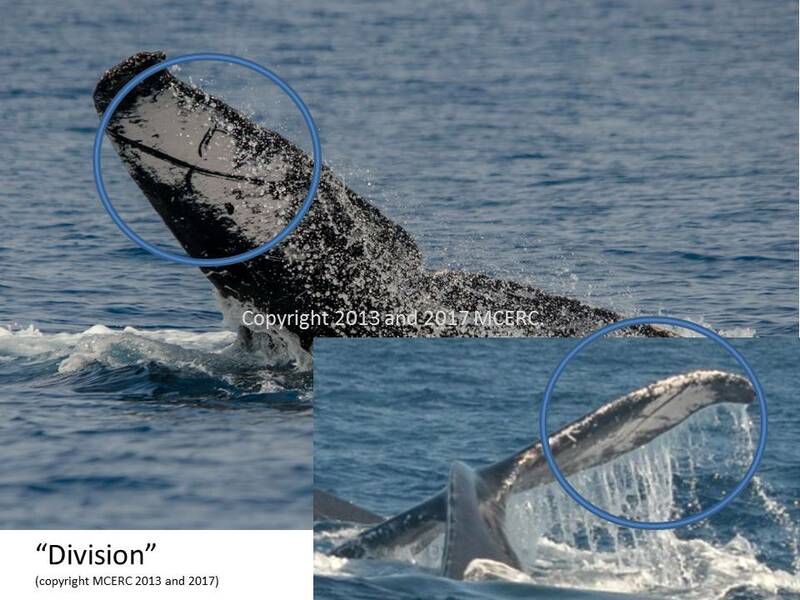 MCERC provides a gateway for people in Puerto Rico,USA to contribute to ongoing research with our team in the Caribbean by submitting their images of marine megafauna with a focus on humpback whales (Megaptera novaeangliae). You can read more about the MCERC Humpback Whale Project here. The photo on this page demonstrates the “photographic capture-recapture” of “Division”, photographed in 2011 off Puerto Rico (top) and off the Turks and Caicos Islands in 2013 (bottom right) by Dr. Mithriel MacKay. Humpback whales migrate to the Caribbean during the winter months for breeding and calving. They are occasionally harassed by pilot whales, accompanied by dolphins, and share areas with surfers, fishers, and boaters. Mothers with calves often rest quietly at the start of the winter; however, as the calves grow (quickly!) they become increasingly active. It is common to spot whales as they slap the water with flippers and flukes or jump high in the air near shore. Although there is not a “best time of the day” to see whales from shore, Rincón and the northwest between Aguadilla to San Juan are prime spotting locations. Binoculars are not necessary to see whales from these locations! Whales and dolphins are in the waters all around the archipelago; however, some species prefer the deeper waters and are not as readily available from the land. Eco tours often have excursions in the same near-shore waters that humpback whales are observed. 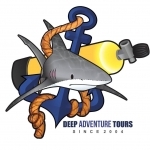 MCERC’s own “Capi” Michael Lopez (Deep Adventure Tours) is the primary captain for our research team since 2012 and Jeffrey Albrecht (Seven Seas Fishing Excursions) is our support boat for research when Capi is working with the search and rescue teams from the US Coast Guard. Images are added to the MCERC database, the Happy Whale catalog, and Allied Whale catalogs where they are matched to photos submitted by all contributors. The collaboration between all the organizations and citizens involved are included in the analysis towards a better understanding of humpback whale life history. MCERC has been collecting data off Puerto Rico since 2009. The generous contributions made exclusively to this project are especially important because the additional eyes and images are able to observe more whales throughout the winter than our team can study alone. It’s exciting to find matches within and between the catalogs! MCERC’s research team confirms the matches and then posts the news to the social media and websites set up to share the places the whales have been photographed and the length of time between sightings. The matches include whales observed and photographed off the feeding grounds in the higher latitudes in the North Atlantic to Puerto Rico with decades between sightings as well as sightings within the same year between other islands throughout the Caribbean. 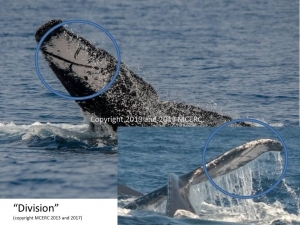 Whether you are interested in following the Puerto Rico Humpback Whale Project or want to contribute images to the MCERC catalog, you can follow this project on FaceBook by liking the Puerto Rico Humpback Whale Sightings Page and contribute your photos of whales and dolphins from the waters surrounding Puerto Rico!